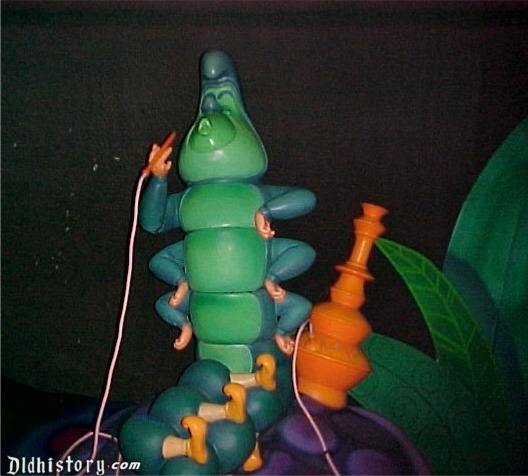 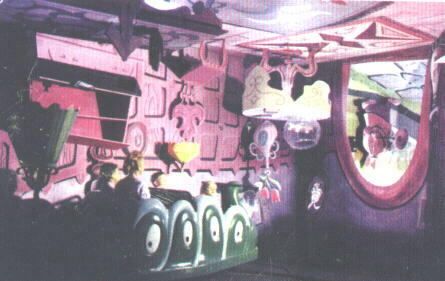 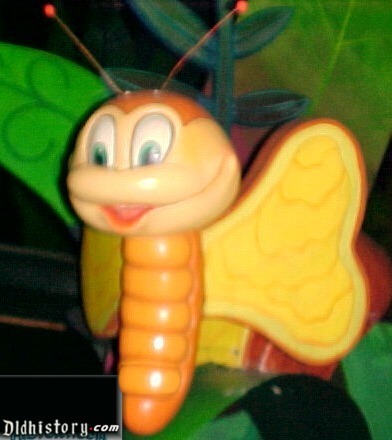 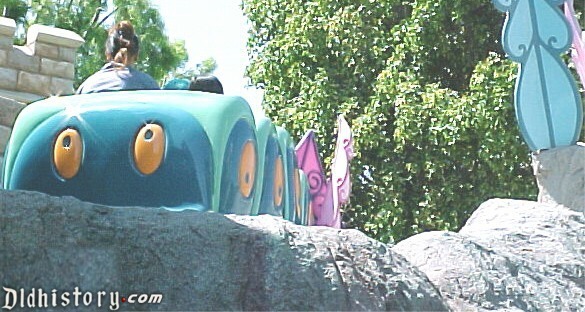 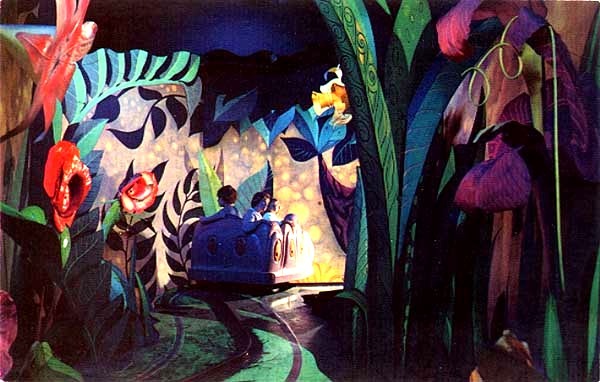 Traveling in brightly colored Caterpillars, guests wonder through three-dimensional scenes from the film in this "dark ride." 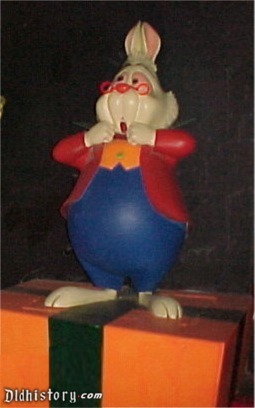 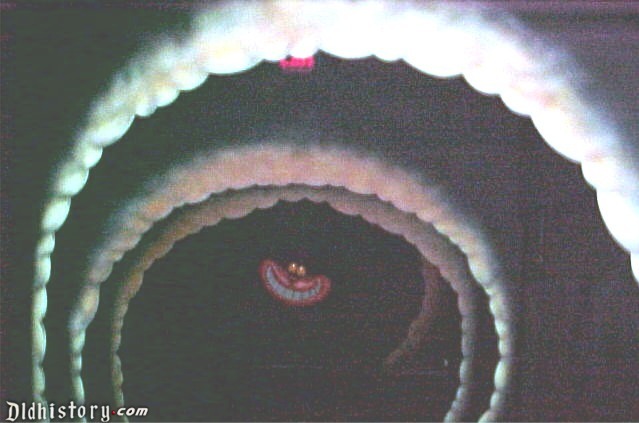 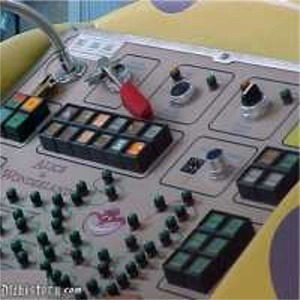 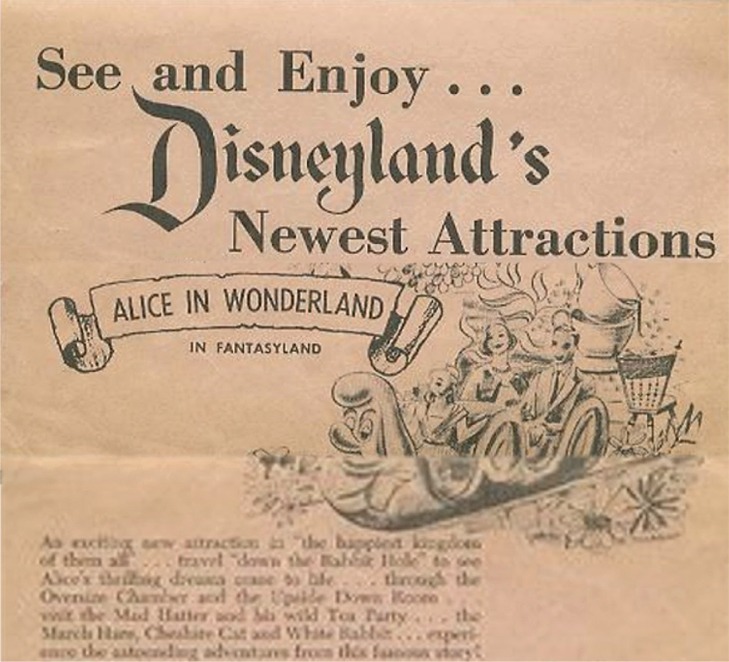 Kathryn Beaumont, who had provided the voice for Alice in the 1951 motion picture, was brought back in 1982 to record narration tracks during the rehab of the attraction. 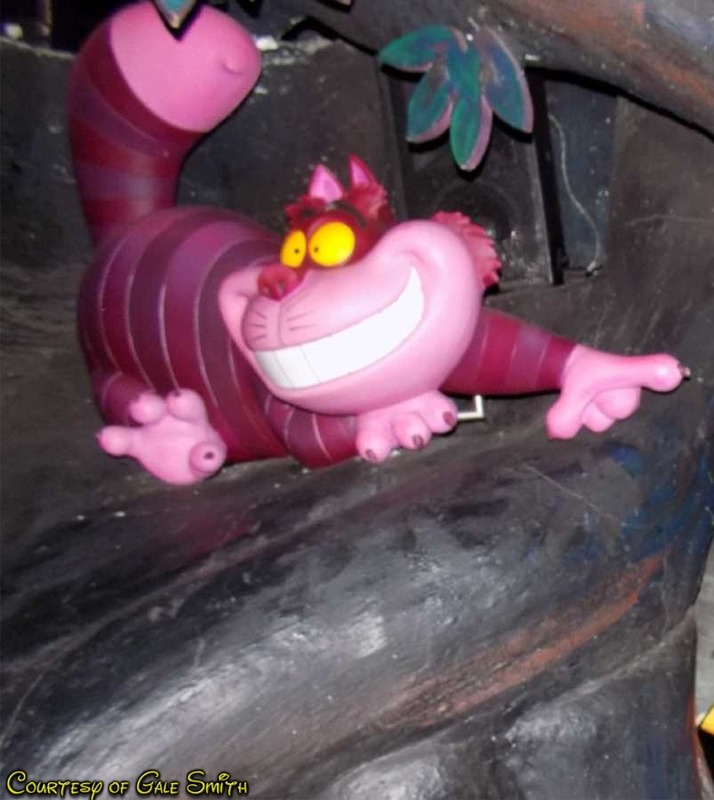 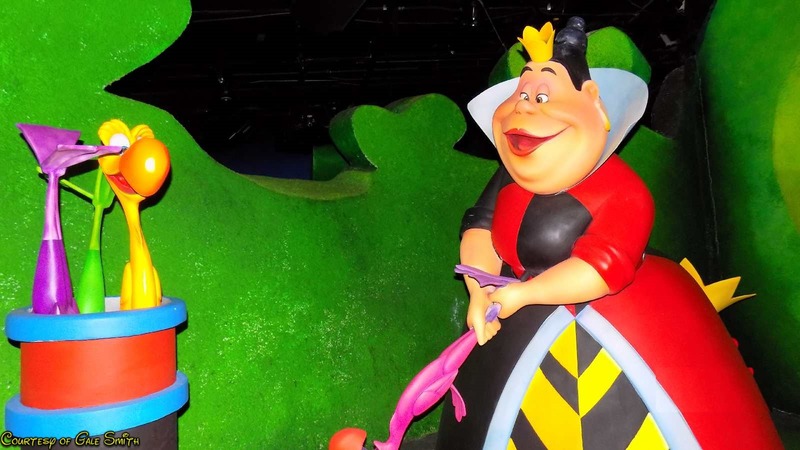 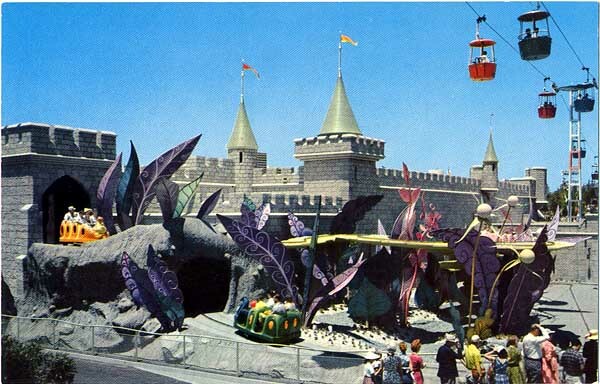 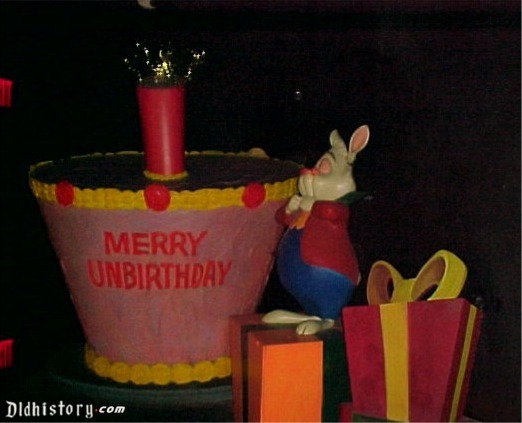 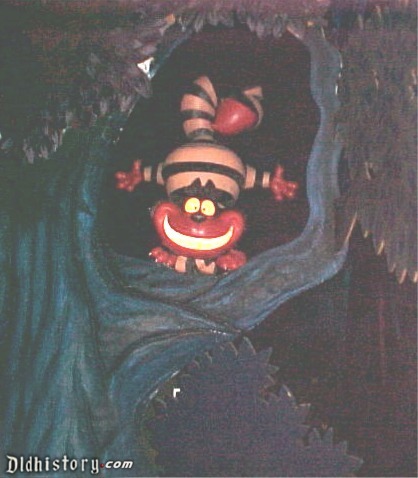 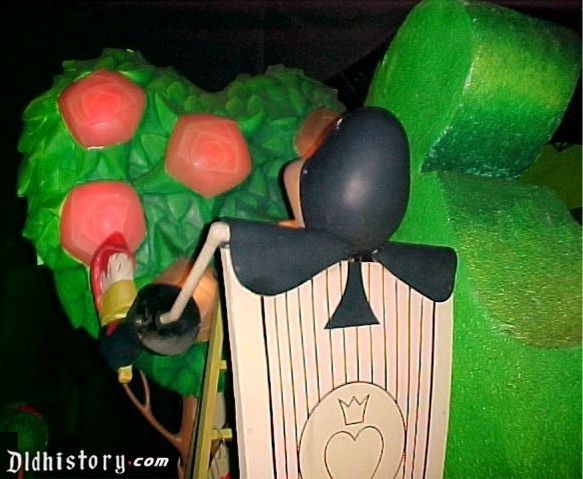 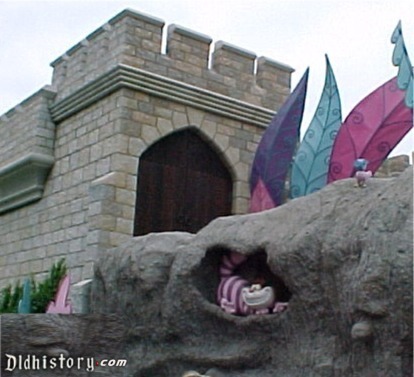 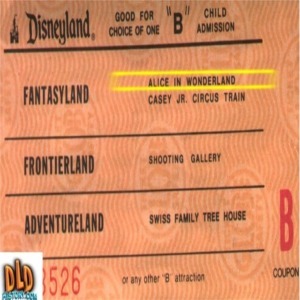 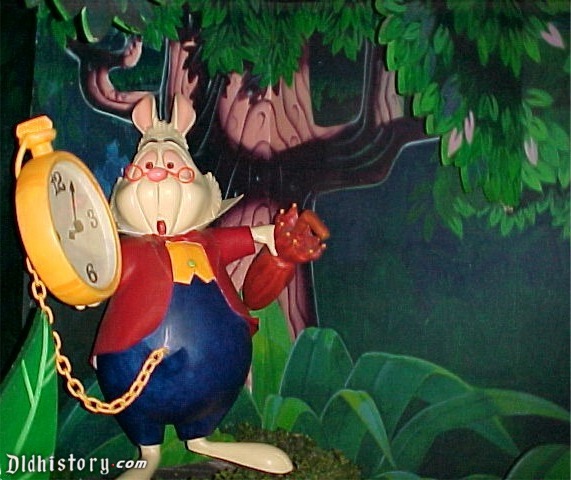 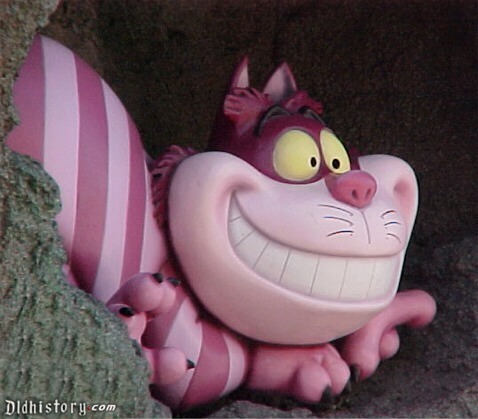 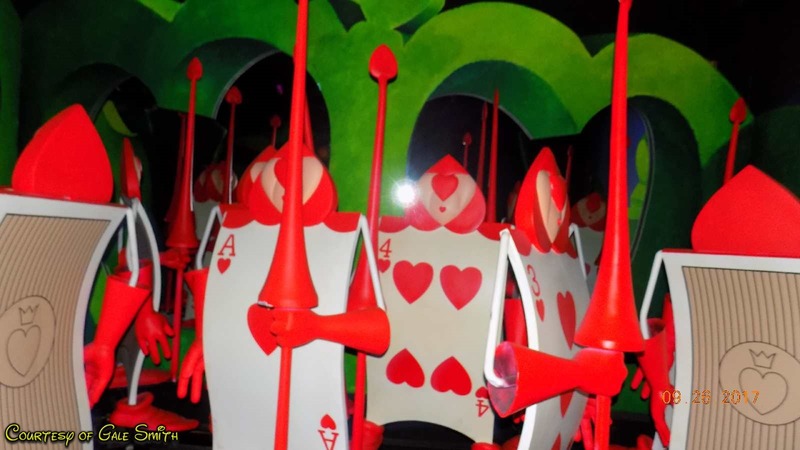 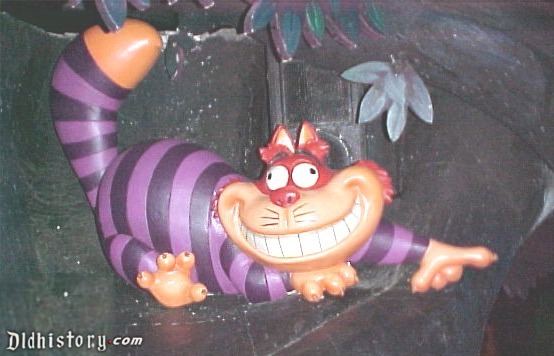 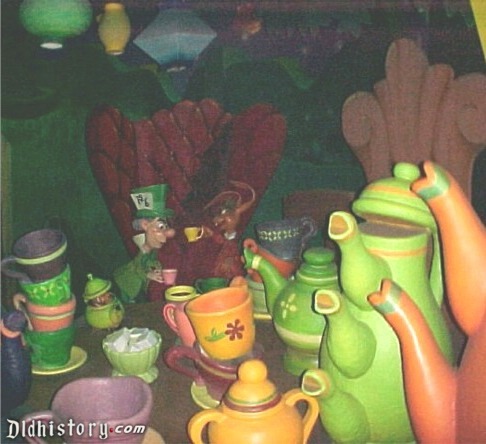 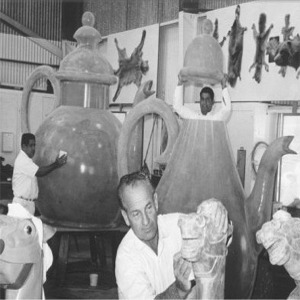 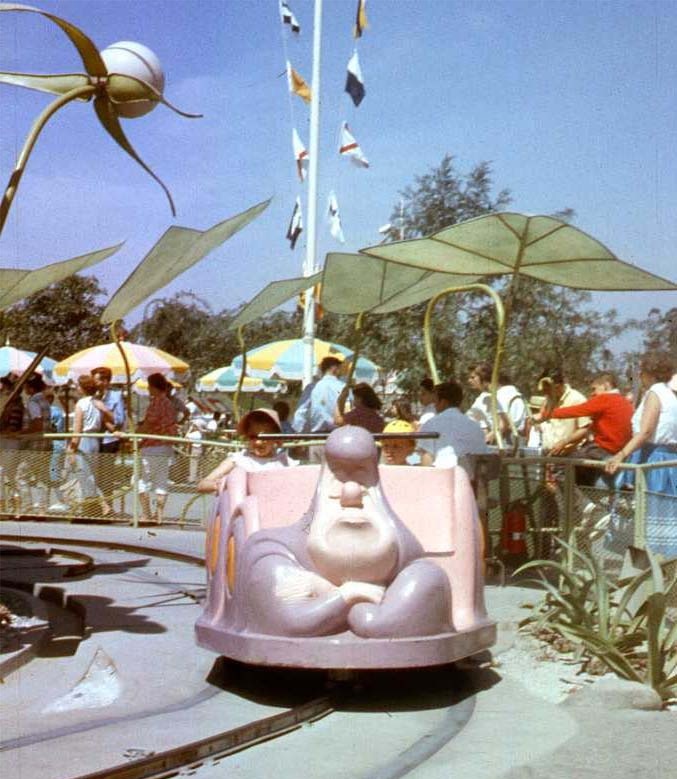 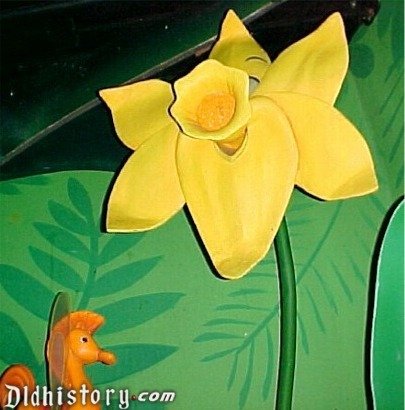 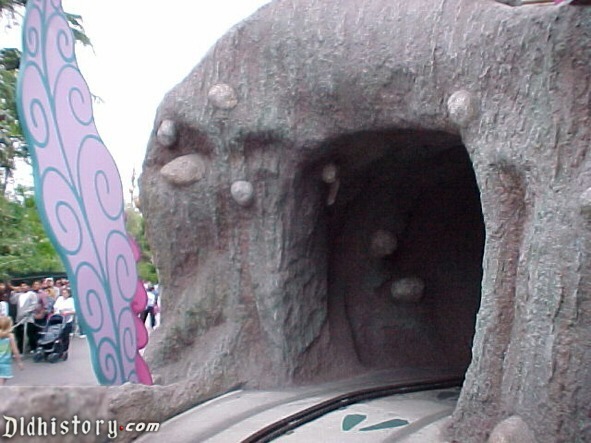 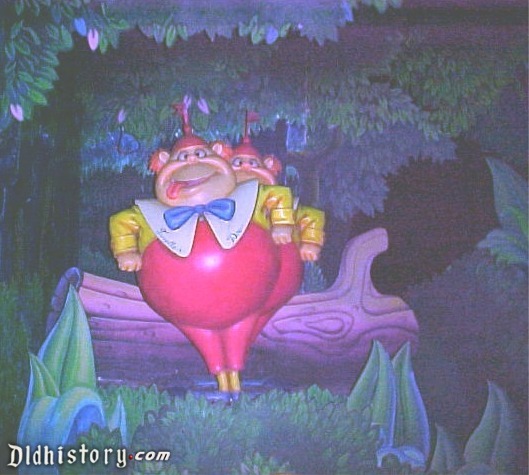 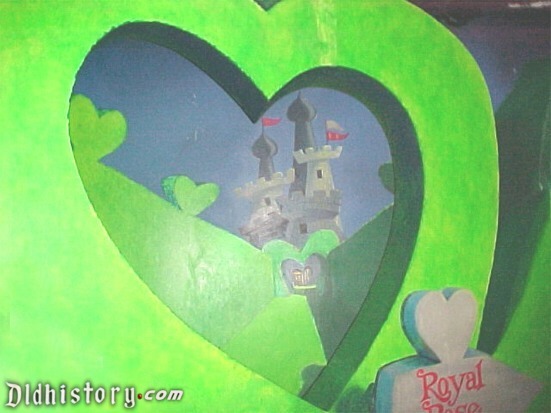 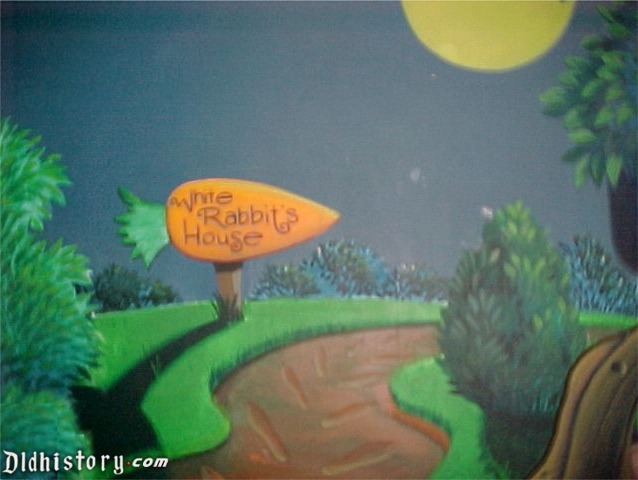 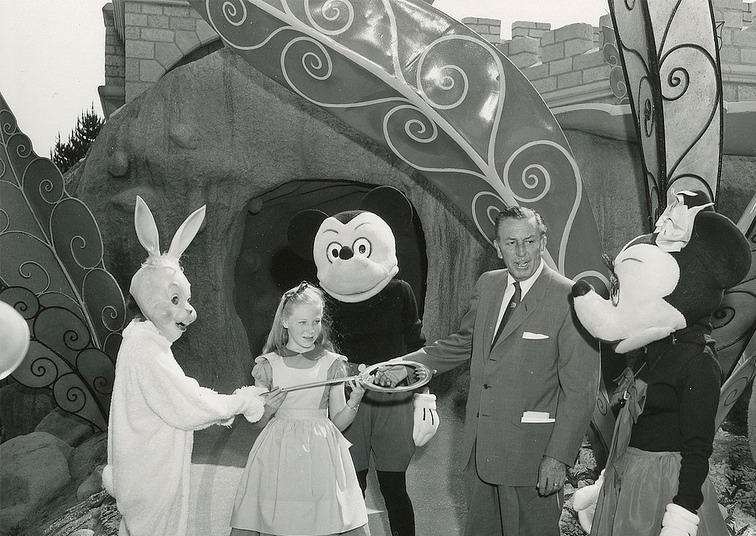 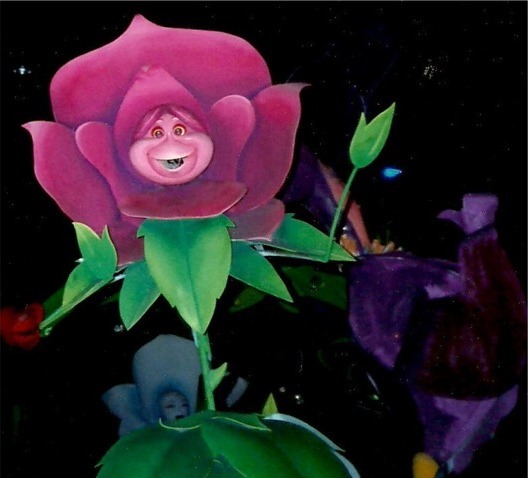 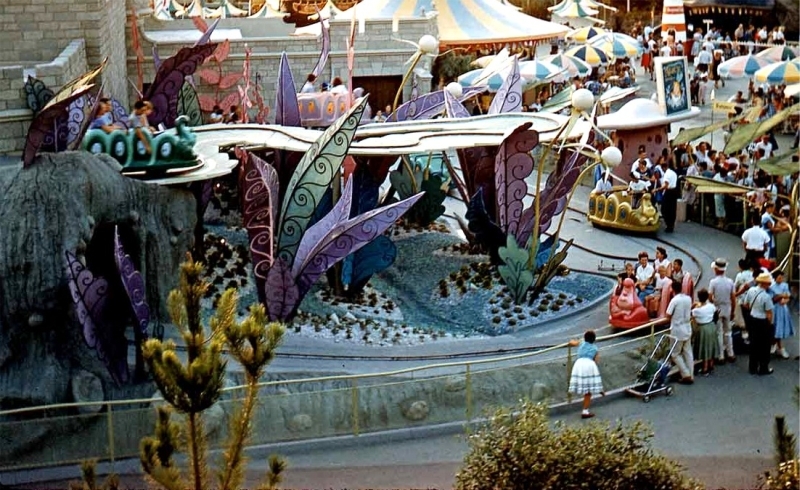 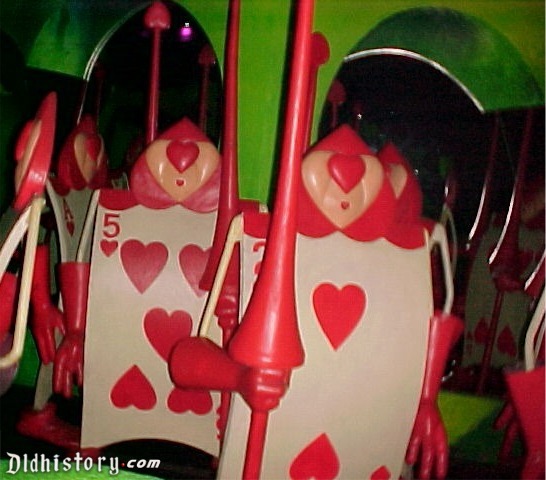 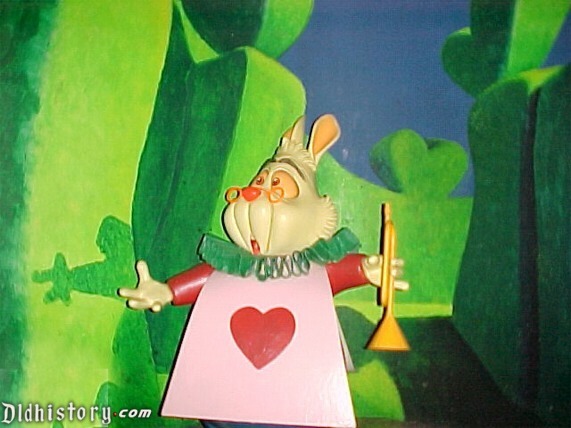 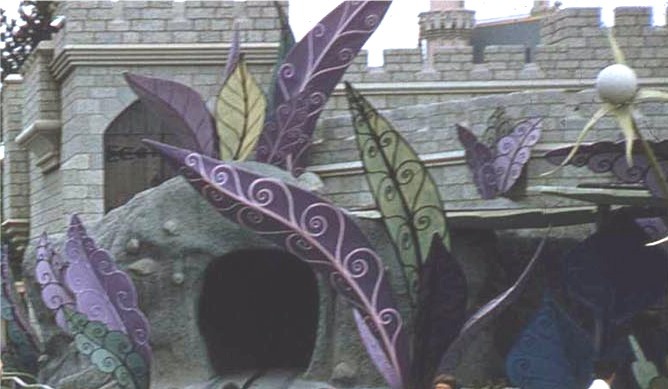 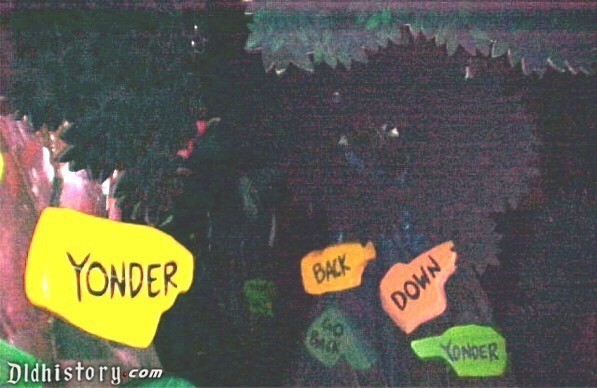 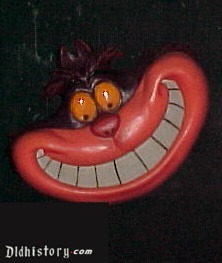 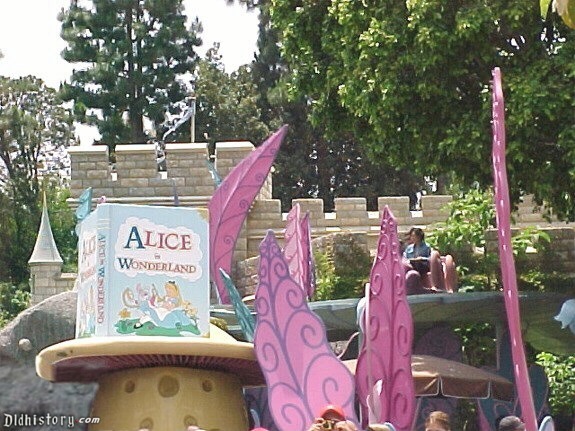 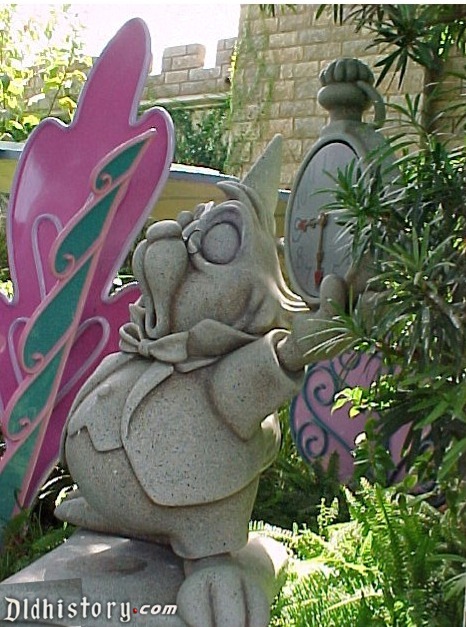 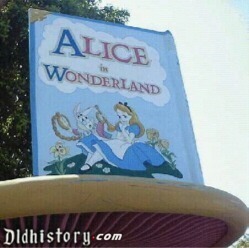 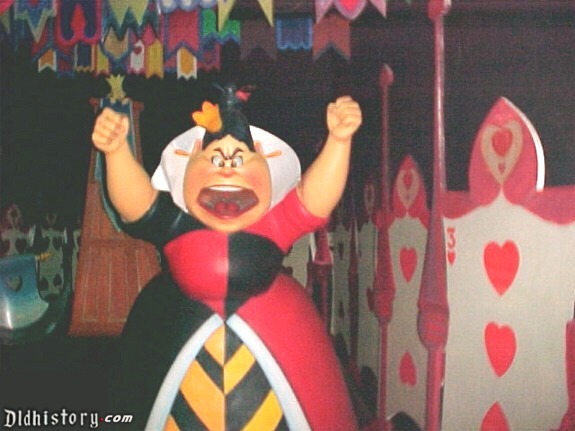 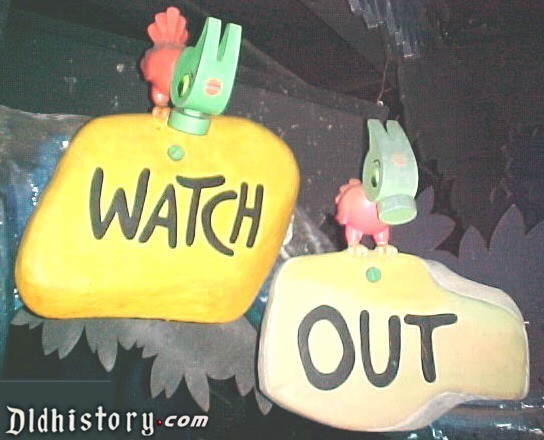 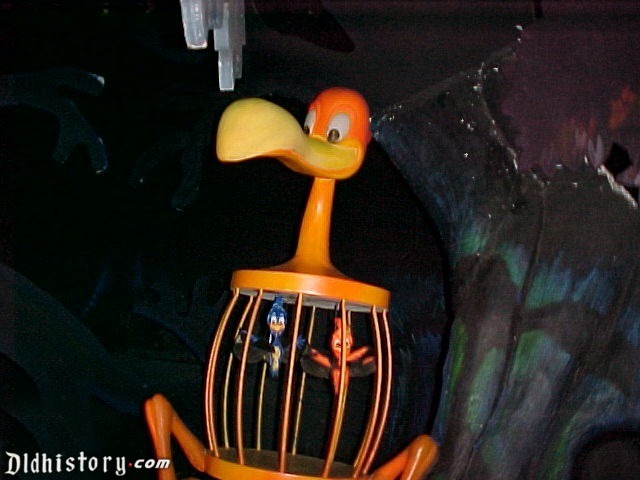 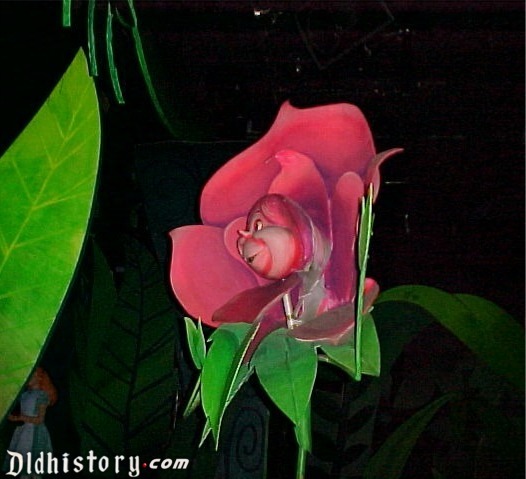 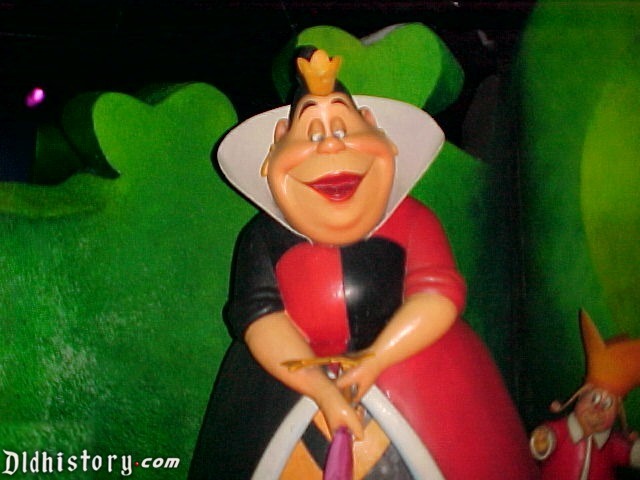 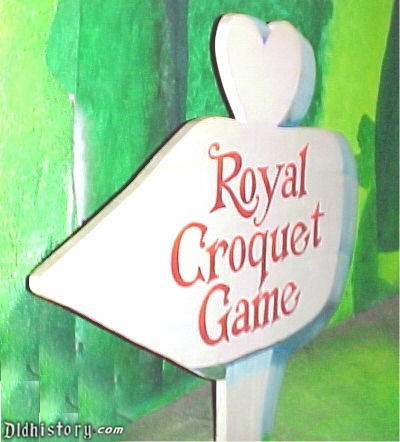 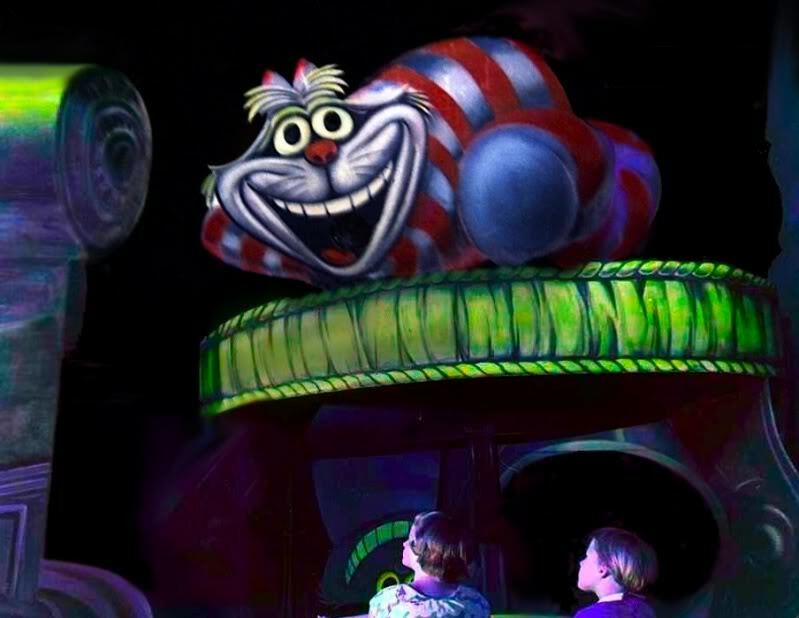 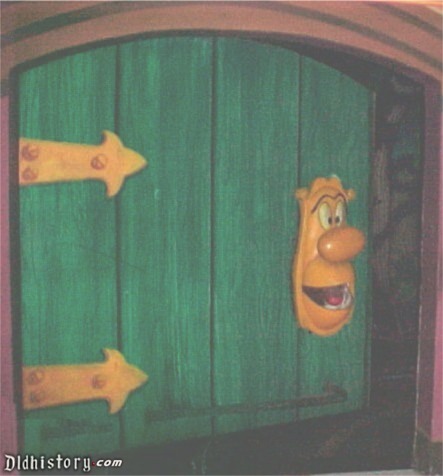 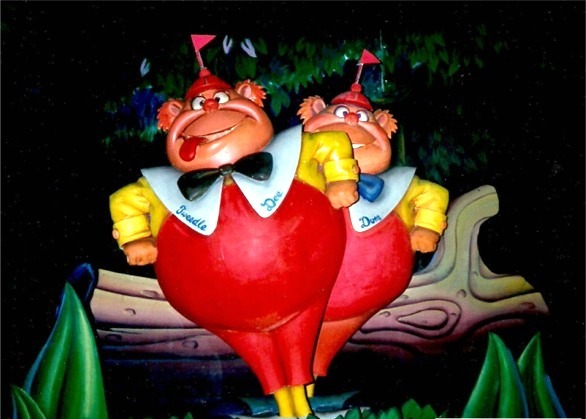 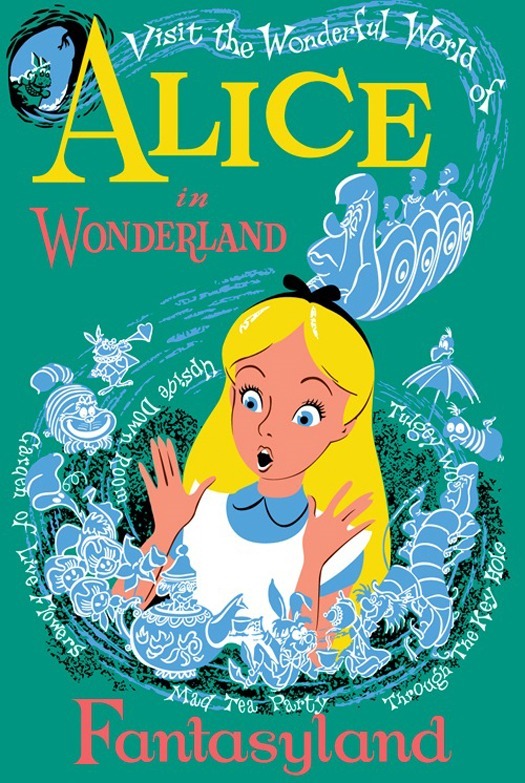 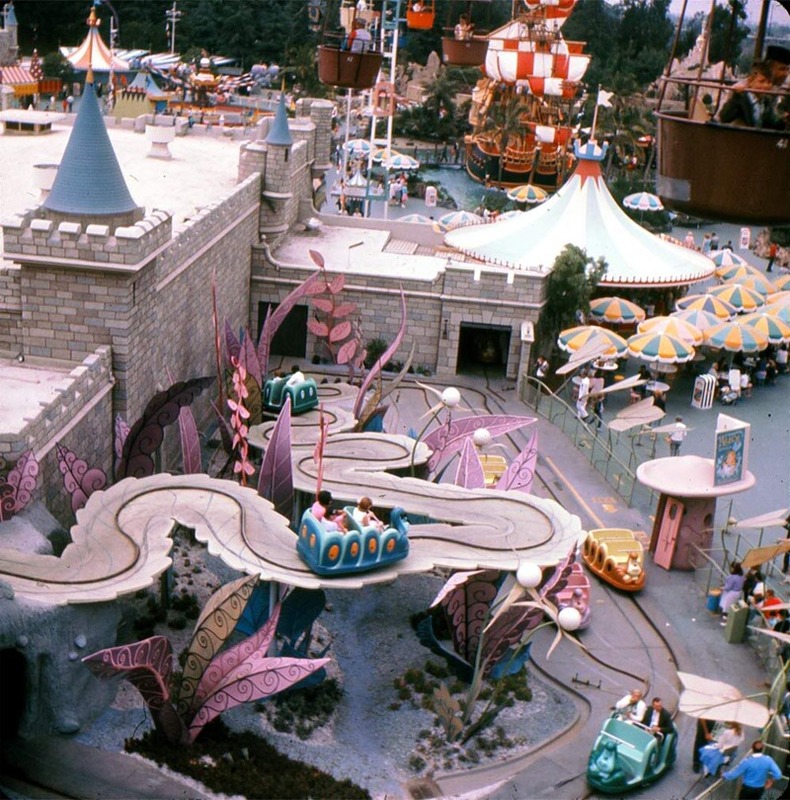 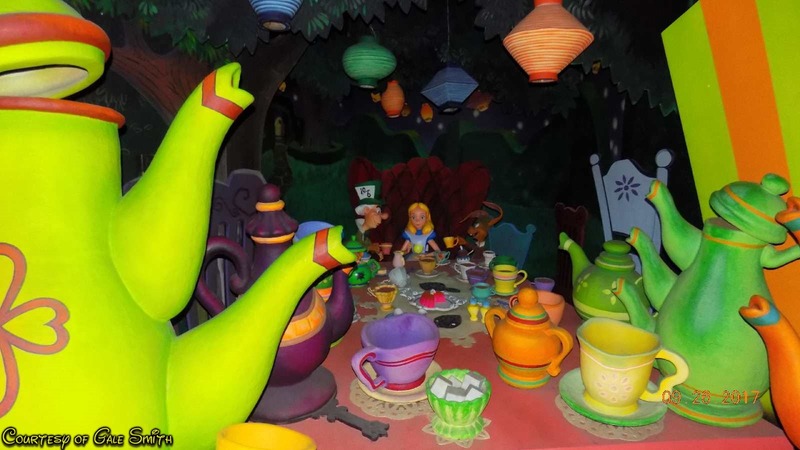 Originally Alice In Wonderland was planned to be a walk-thru attraction. 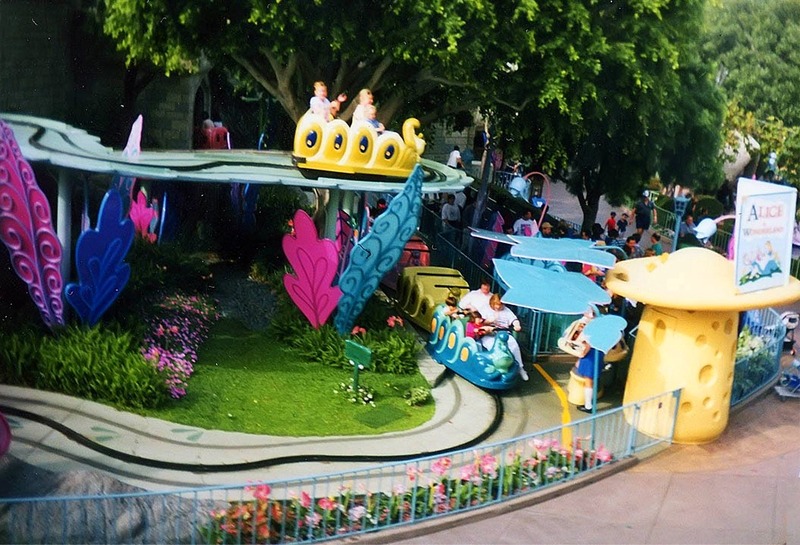 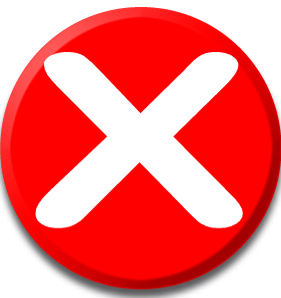 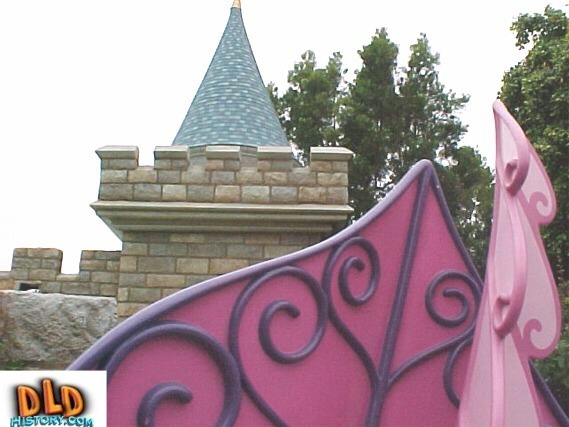 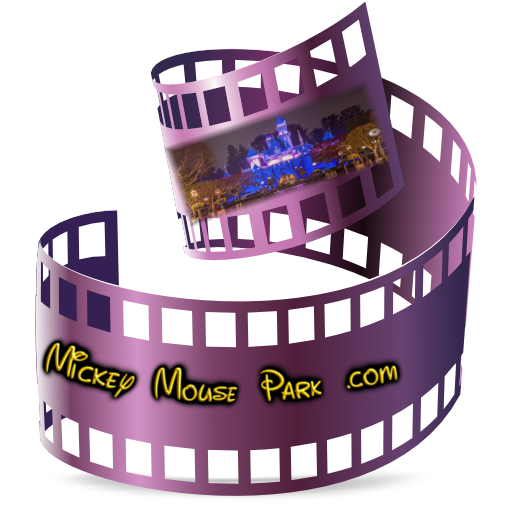 Disney officials said the Anaheim park voluntarily closed the ride July 15, 2010 after California Department of Occupational Safety and Health inspectors pointed out that it lacked handrails needed for maintenance crews who work on an elevated segment of the ride. 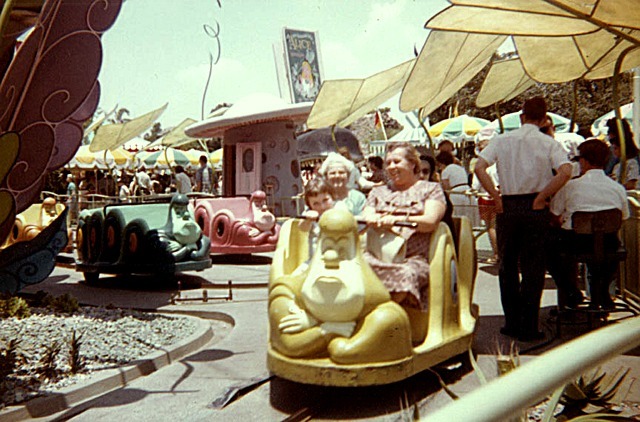 In the late 1950's required a D ticket to ride. 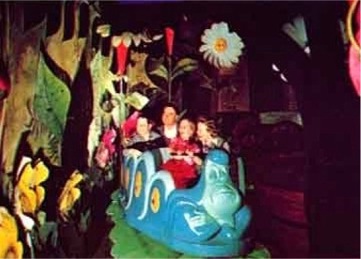 In the late 1960's required a C ticket to ride. In the late 1970's required a B ticket to ride.